It's holiday time at last, and you're ready to roll! Time to grab your pack and head for the airport. Scandinavia, South America, Australia–where are you going this time? Whatever the destination, with the Kalari King 56 Rucksack you've got the right kit for the job–a travel pack and a trekking pack in one. 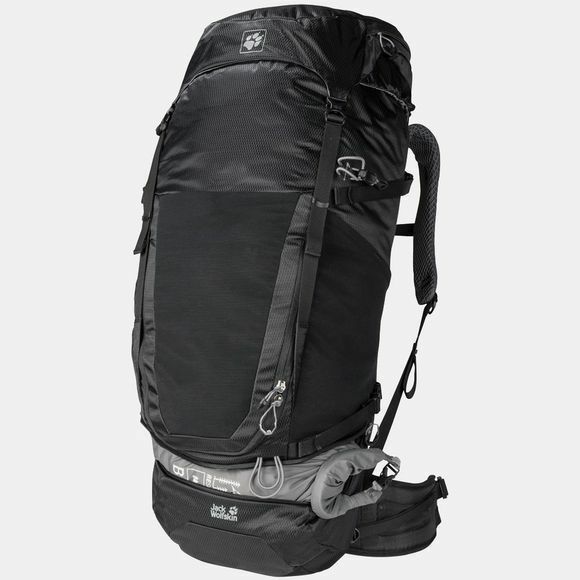 The Kalari King 56 Rucksack is the largest model in our Kalari/Kingston series. These lightweight, multifunctional packs are made from recycled materials and have a sporty design. They are perfect for short trekking trips and long-haul travel. They are incredibly versatile, very robust and extremely well ventilated. The flexible ACS Tight back system also ensures good freedom of movement. And because the pack sits very close to your body, you retain full control of the load. The central air channel at the back and the perforated, air permeable back padding and shoulder straps help to keep you cool. If you're not carrying a full pack and don't need the hip fins, they can be stowed away. Alternatively, you can hide the entire back system under the covering flap at the back. This will stop the straps and buckles getting damaged if you're checking the pack in at the airport. All of the packs in the Kalari series can be combined with the smaller Kingston day packs and carried together. 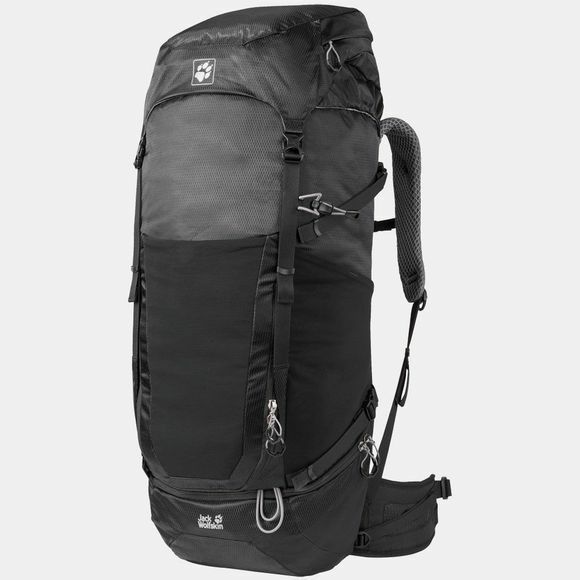 Simply attach the hooks on the day pack to the loops on the shoulder straps of the Kalari. This product series will appeal to the user looking for a dynamic and flexible, town-to-trail travel pack solution for round-the-world trips or everyday use.